The curriculum presented was developed and is presented by a partnership between the Sports Car Club of America and BMW Car Club of America, with sponsorship from Enterprise Rent-A-Car and online tire retailer www.TireRack.com. Local amateur auto racers recently became driving instructors to teach safe driving and emergency skills to teen drivers at Portland International Raceway. The Street Survival class was held on Sunday, March 11, and involved a combination of classroom education and in-car driving exercises with coaching from racers. In the classroom, students learned about proper seating position and hand positions, mirror placement, the concept of the contact patch on their tires, theories of weight transfer and long distance vision, and situational awareness. Instructors also cover the challenges of distracted driving, including the radio, iPods, talking or texting on a phone, or just having too many teens in the car. "Tire Rack Street Survival is about investing in our most precious resource, our young people," said Matt Edmonds, Executive Vice President of Tire Rack. "Through experienced coaches, volunteers from various car clubs, these new drivers learn how to react and control their vehicles in potentially dangerous situations making the roads safer for them and all of us that share it with them." Ashley Trigo, 17, is a student at David Douglas High School, and a first-time student at the Street Survival course. "My mom went searching for the class," Trigo said. "She just wanted me to take a safety course. I thought it was a good idea, too, because I didn't want to be scared of driving in snow, or not knowing what to do in case of emergency." 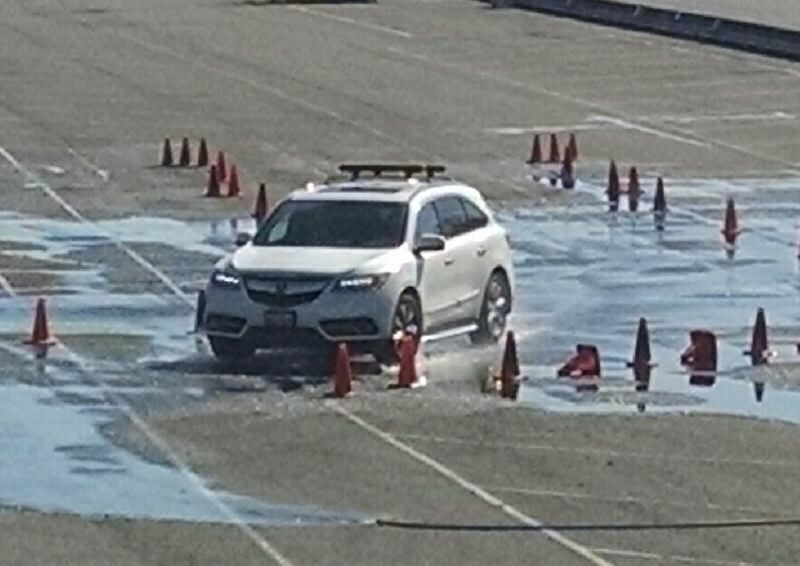 In-car exercises include skid control on a wet skid pad, lane change and accident avoidance maneuvers, threshold braking and anti-lock braking exercises. The teens also drive a slalom course to learn about weight transfer. "I think the most important thing that I learned is that my car does not have ABS, and I wouldn't have known that in an emergency, I have to release my brakes instead of slamming on them," Trigo said. The next Street Survival school in Portland will take place on Sunday, September 18 at Portland International Raceway. Students can register at www.streetsurvival.org. The price of the class is $95 per student, and includes lunch. "Street Survival would be really helpful to my friends, because they're not the safest drivers," Trigo said.